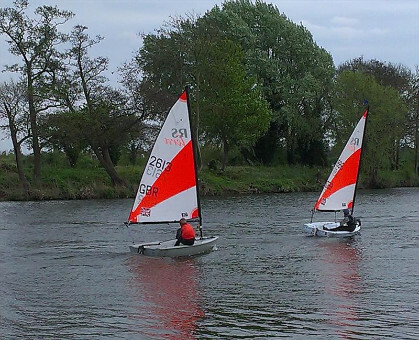 The RS Tera Open Meeting at Desborough Sailing Club saw a good total of 17 entries at this idyllic, family friendly club on the Thames at Shepperton. 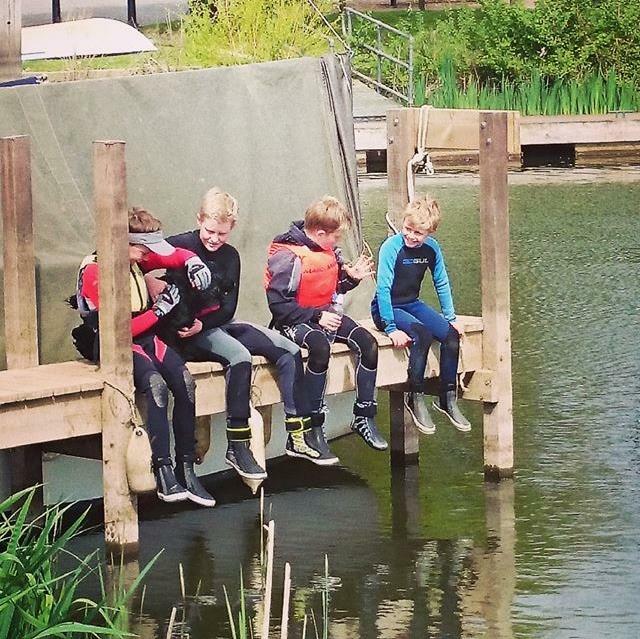 The weather could not have been better, warm with sunshine and true to form a shifty swirling breeze that taught the young sailors a lot about sailing on the river, and caught a few of them out too. The 7 PRO and 10 SPORT rigged boats raced as one fleet with results decided on handicap, over 3 races with one discard. After a short practice before lunch, the fleet came ashore, sat on the lawn or one of the pontoons for a picnic and then headed out for 2 races back to back. Race 1 was won by last years winner Alex Butler of Hayling Island Sailing Club, followed home by James Oakley of Middle Nene and Henry Jameson also HISC. Race 2 saw James take the win from Harrison Pye of Draycote Water SC, and Henry 3rd After a short interval, I was time to take to the water for the final race and it was still all to play for, a very congested start saw Alex get away and sail to victory, though it was very close behind him the wind became more and more fickle as the afternoon went on with big shift, holes, gusts and the current to deal with, a real test of nerve. In the end it was James and Harrison who took 2nd and 3rd spots and in turn 2nd and 3rd overall. Natasha Griffin of Desborough SC was awarded the Ayton Endeavour Award for her performance on the day in her first ever event, well done Natasha. A great place, fantastic people and a really good experience for all competitors, this event never fails to deliver, and the fleet will be back again in 2015.